It’s funny how quickly we are ready to write off an NRL team’s chances of winning the premiership. 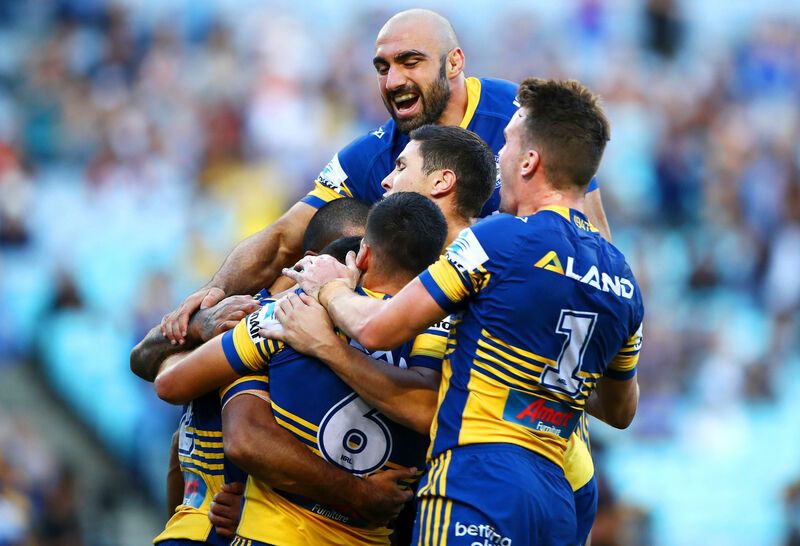 The Eels proceded to lose that game, against the Tigers, so what did we read the following week, when they were set to line up against the Panthers? 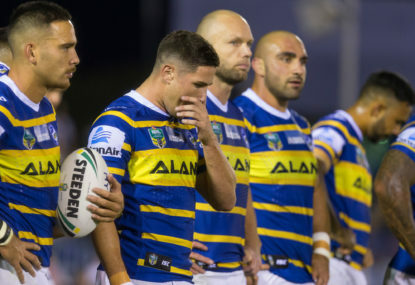 That they lost to Penrith would surely mean the following week we could just start saying that Parra’s season was over, but as the men in blue and gold geared up to face the Raiders the following week, what did we read all over again? By the time we got to Round 8, it had been a month of the Eels playing do-or-die footy, except every time they didn’t, for some reason they still weren’t dead. So when they finally notched up win number one of the year – a 24-22 victory over the Tigers – there was no talk of it being a consolation prize for their season or their first step in trying to avoid the wooden spoon. No, that win was a glimmer of hope for their top-eight chances. Look, 25 rounds makes for a long season and there is a need to frame each match in the broader narrative of what it will mean come September, so it’s fair enough that we talk finals footy after the full-time siren has sounded on a match in March. But it does get a bit broken record-ish when the same long-term outcome is predicted after each loss, conveniently wiping that exact same prophecy from last week’s assessment. Before the start of this weekend’s action, all 16 teams had completed their byes for the year and were left with eight weeks of full rounds until the finals. Last year, the fewest amount of points needed to make the eight was 30, however, 27 got the Gold Coast in for 2016, and in the three years prior to that 28 was the cut-off. So let’s work off a cut-off of 28 points required to make the semis. That means that even if Jarryd Hayne recaptures his 2009 form and the Eels go on a barnstorming run to finish the year, they are still no hope of featuring in the playoffs – their current ten points on the ladder means a perfect finish still leaves them shy of the necessary points. Likewise, the Bulldogs and Cowboys are each on ten points before this week’s matches, while the Sea Eagles are on 12, meaning a perfect run to close out proceedings would still leave them all short of where they need to be. The Knights played a four-point game yesterday against the Gold Coast, with the losing team’s finals hopes extinguished. Newcastle managed a come-from-behind win to ensure Garth Brennan’s boys can book a holiday for the first week of September now. 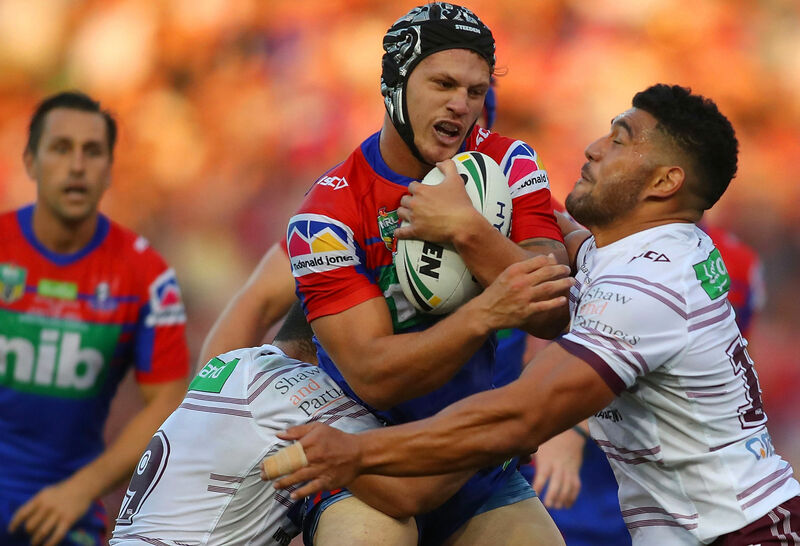 So the Knights, moving to 18 points, technically need five from six, which sounds like a possibility – especially with Mitchell Pearce back pulling the strings and Kalyn Ponga returning next week. This Novocastrian is holding out hope (you can all shut up). But the problem for my desperate, ridiculous hope the Knights are going to play finals footy is that the ninth-placed Tigers and tenth-placed Raiders are on 20 and 18 points, respectively. And those are two teams in some seriously scary touch. Canberra lost to a better team, the Sharks, on Friday night, but a sketchy situation with a touch judge could have seen Ricky Stuart’s boys get the chocolates. And the Tigers? Bloody hell, they smoked the ladder-leading Bunnies last night, reminding us all of how good Ivan Cleary’s side truly are. You’d almost say either of the Raiders or Tigers were decent chances of overhauling whoever was in eighth place and play finals footy. Except said eighth-placed team are the Broncos, who gave the Panthers a ‘you can’t win the comp’ beating this week. Sorry every team outside the top eight, but you can kiss your semis goodbye.